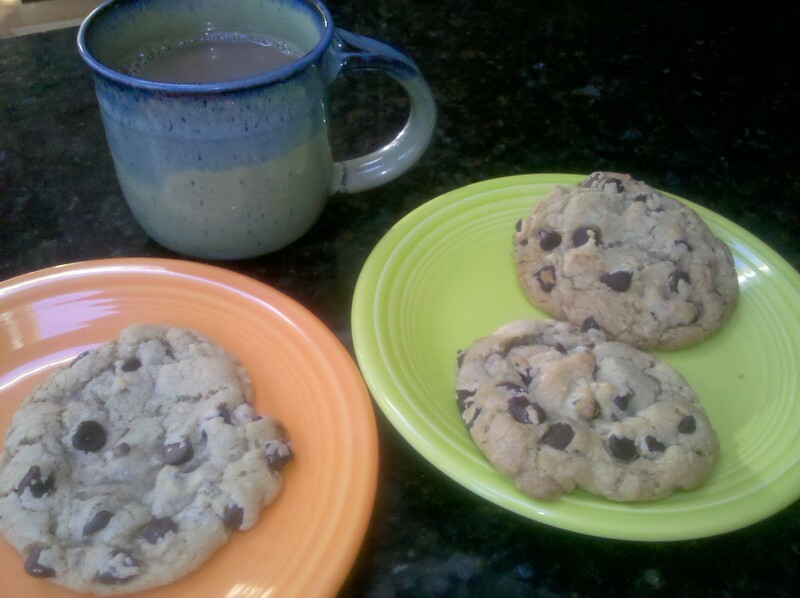 Like many of you, I am devoted fan of the traditional back-of-the-bag Nestle Toll House chocolate chip cookie recipe. It is universally loved and consistently satisfying. I had no interest whatsoever in cheating on this recipe, and I was faithful to it for all of my life. But then this Perfect Chocolate Chip Cookie recipe caught my eye. Cook’s Illustrated (which I affectionately call Cooking for Geeks) is my favorite source of recipes and inspiration. Even though they test every recipe to the nth degree, I often find myself modifying things with my own special touch. But not this recipe, no, never! I follow every instruction to the letter, with serial killer precision, and the results are perfect every single time. Yes, it is a bit fussier and a wee bit more work, but the results are well worth it. Please try it and let me know what you think. Makes 16 cookies. Published May 1, 2009. From Cook’s Illustrated. This entry was posted in Desserts and tagged cookies, desserts by Mom Mom's Apron. Bookmark the permalink.